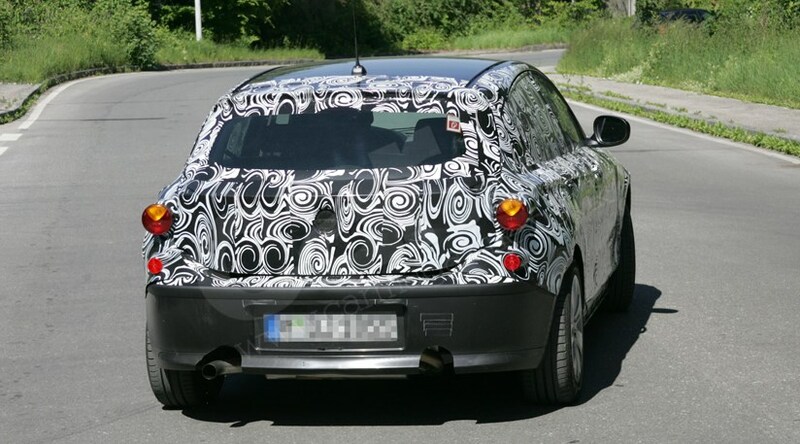 News just in from Germany: our man with the long lens has caught the new 2011 BMW 1-series, codenamed F20. These spy photos capture an early engineering prototype with heavy panels and black-and-white disguise covering the bulk of the changes bound for Munich's baby. In view of the current budget constraints, it is very difficult to predict which variant is most likely to get the nod. Instead of offering a complex mix of additional bodystyles, BMW is actually contemplating launching an aggressively priced low-spec 115i entry-level model – bringing back memories of the barren 315 and 1502. What will the new BMW 1-series (2011) look like? BMW has confirmed that the Supersport gets round headlamps in homage to the legendary 2002 series; it seems likely that the other three-box models may feature radically different oblong LED headlamps (still disguised on this prototype). All are packaged with the second phase of Efficient Dynamics. New measures are said to include an integrated starter generator, a pre-heating circuit for the engine, differential and transmission oil, start-stop with automatic transmission, on-demand water and oil pumps, a lithium-ion storage cell and a smaller starter battery.